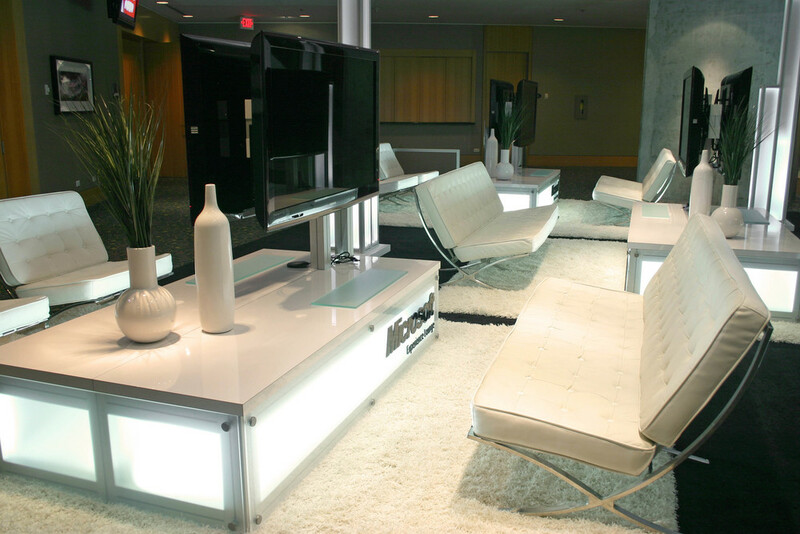 Microsoft 'Lounge' — Exhibit Solutions Inc. Glowing counters and light towers set the tone for the Microsoft Experience Lounge. All the components that create this unique training environment are scalable and have been used in various configurations.